“On the Internet, nobody knows you’re a dog,” was cartoonist Peter Steiner’s claim to fame when it was published in The New Yorker in 1993. His pithy observation also applies to small businesses. Online marketing allows small enterprises to have a large presence and a big impact. On the internet, nobody knows you’re running an upscale gourmet dog treat brand from a modest office park. That is, if you do it right! Success at running a successful marketing campaign on a tight budget can be achieved by knowing the optimum channels and formulating a smart online strategy that improves your conversions. 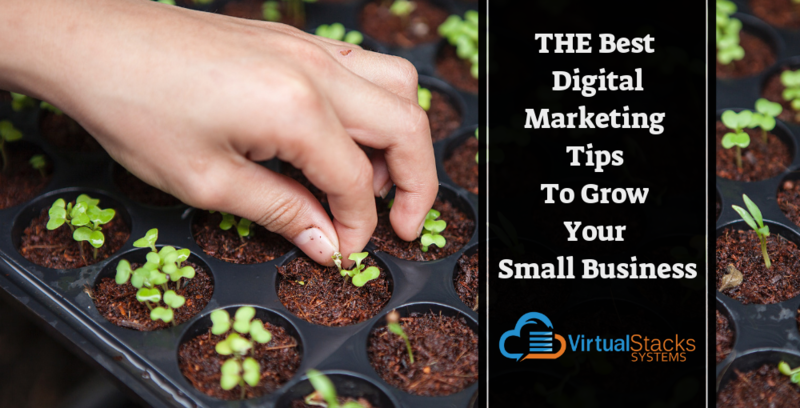 We’ve pulled together some of the best tips to make you the top dog in your market! Target the right audience for your brand – If you think that “everybody” is your potential market, you need to think again. Going back to our gourmet dog treats as an example, this brand would appeal to people with a fairly high amount of disposal income. Such factors as annual household income, age, gender, interests, background and culture – among many others – require research so you’ll know who you’re selling to and how to “talk” to them. Also just as important is knowing where to talk to them. Instagram is an effective way to reach millennials and generation Z, while consumers in their mid-40’s and up tend to favor Facebook. Have a smart SEO strategy in place – You can’t plan an effective online marketing strategy without SEO. It is vital for businesses to rank high on search engine results to improve traffic, conversions and sales. Optimize your website’s URL, add target keywords in your content, do proper link building and write relevant blog posts. If your business has a physical location, make sure your local SEO is strong, as covered in our October 26, 2018 blog post, “How to Improve Your Local SEO Ranking and Build Up Your Brick and Mortar Sales.” Which leads into the next tip. Optimize your Google My Business page for local search – You do have a Google My Business page, right? If not, make this Step One – today! Google My Business is a free tool that lets you manage how your business appears on Google Search and Google Maps. As described by Aja Frost for HubSpot, “If you’re just getting started with local SEO, your Google My Business listing is a great place to focus your early efforts. After all, when people search for a product or service near them, they’re usually very close to making a purchase – one in two people who conduct a local search (think ‘watch repair near me’) visit a store that day. So it’s important the information about your business that shows up when people search Google is as accurate, complete, and optimized as possible.” Google itself helpfully provides all the details. Paying attention to Google My Business customer reviews is of particular importance. Address negative reviews immediately, and in a civil, respectful manner – even if the criticism isn’t given in the same tone. Also ask yourself if the critical critique had merit. Working to improve weak areas of service, performance or merchandise quality will ultimately pay off more than lashing out at a dissatisfied customer. Which leads into the next tip. Ask your customers for online reviews – According to Inc., 84% of consumers trust online reviews as much as personal recommendations from people they know. Positive customer reviews may be the single most effective marketing you can do for your business. Use Pay-per-click (PPC) advertising – Generating visitors to your website organically – that is, through social media – is very difficult, if not impossible, for new or small businesses. With PPC, you can select keywords that are closely linked to your product and display your ads in the sponsored links of search engines. You pay a small fee, but as Neil Patel reports, strategically crafted PPC campaigns provide traffic, leads, and customers almost instantly once the ads start running. An immediate return can be attractive over waiting several months for organic SEO campaigns to gain traction. Use email marketing – Email is more popular than ever as a marketing tool. Our June 1, 2018 blog post, “Nine Tips for an Effective Email Marketing Campaign,” covers the basics. First and foremost: have a clear-cut objective. Know what you want your email campaign to accomplish. Do you want qualified leads in your conversion funnel? Additional business from existing customers? Additional information from recipients so you can fine-tune future messages and offers? Craft the message accordingly to get the desired results. Granted, these tips require a good deal of time and expertise to execute. Whatever your business is, our business is in providing full-service digital marketing to meet your needs and help you reach your goals. Virtual Stacks Systems offers website design and redesign, SEO marketing, review management services, social media marketing, Google Ads (PPC advertising) and much more! Contact us today to learn what we can do for you.